Julien and Mort. 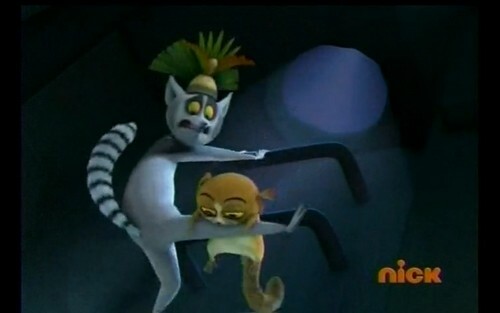 I know in the picture it looks like Julien is annoyed because Mort is on his feet, but I प्यार the moments when Julien looks like he really care about him: after saving him from a fall, he hold him in his arms until they reached the floor. <3. Wallpaper and background images in the पेंग्विन्स ऑफ मॅडगास्कर club tagged: penguins of madagascar julien mort lemurs. Actually he just did that so he wouldn't wake up Kowalski. True too, but anyway, I think the way he did was quite kind.